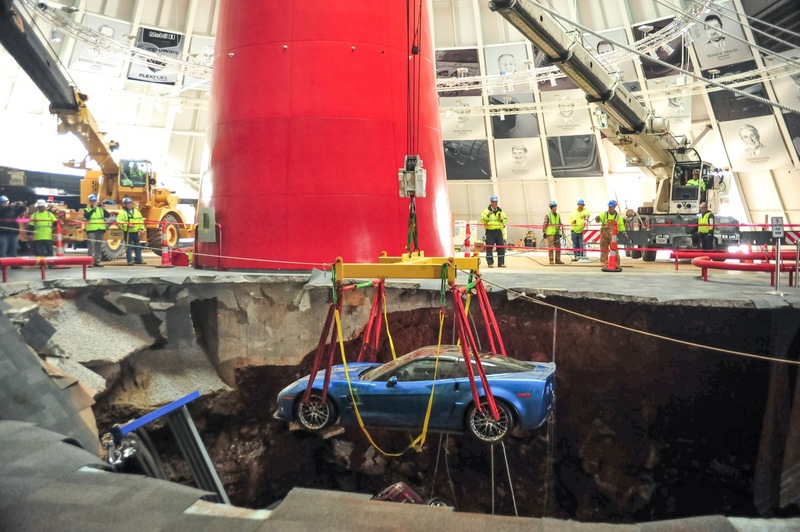 Remember the sinkhole at the National Corvette Museum (NCM)? After Amanda Bynes, it has (arguably) been the biggest news story for 2014. 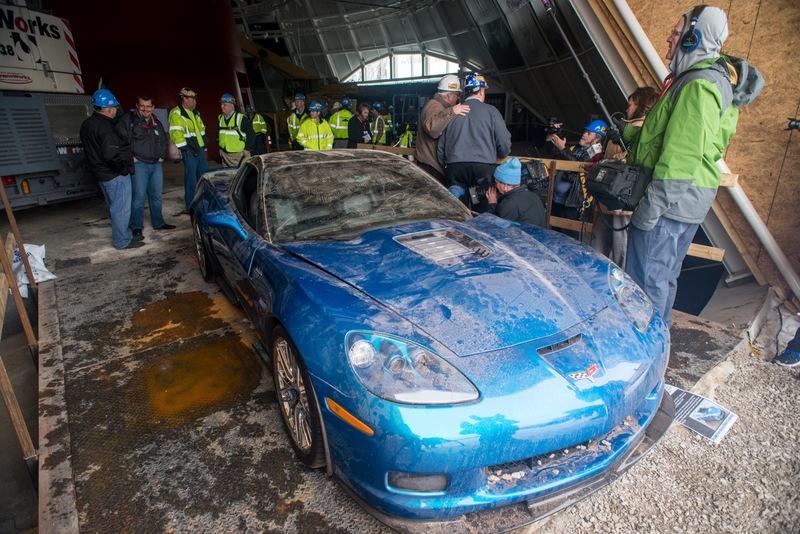 Now, a few days before the NCM is set to close the Skydome for construction repairs, Chevrolet has unveiled the newly-restored 2009 Corvette ZR1 that was damaged when by falling into the sinkhole. 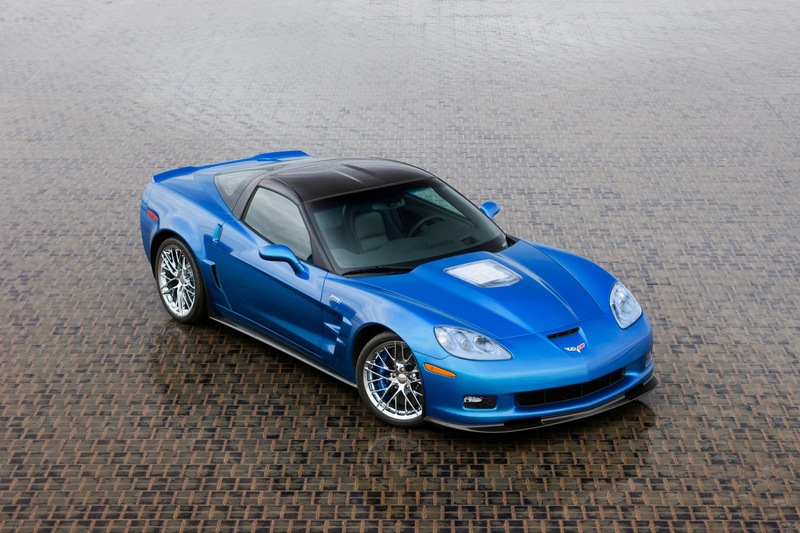 After the SEMA Show closes on November 7th, the Corvette will head back to the museum in Bowling Green, Kentucky. 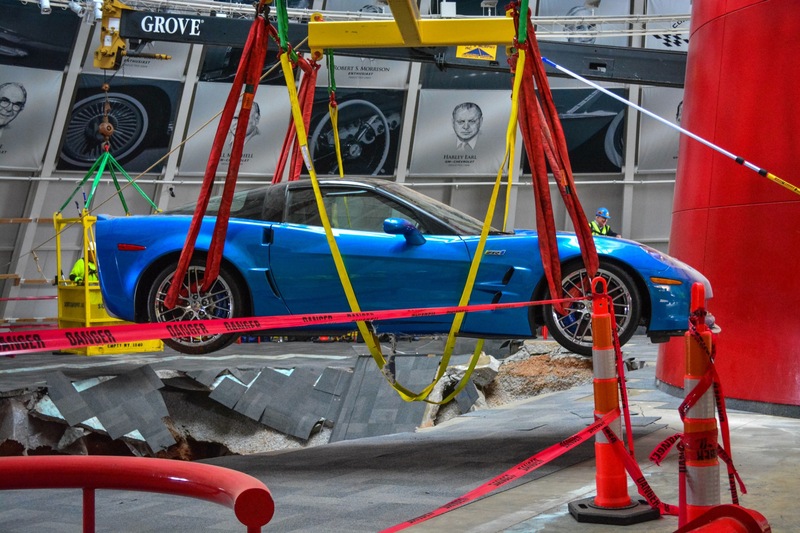 The “Blue Devil” ZR1 is the first to be restored of the eight cars that were damaged by falling into the sinkhole. 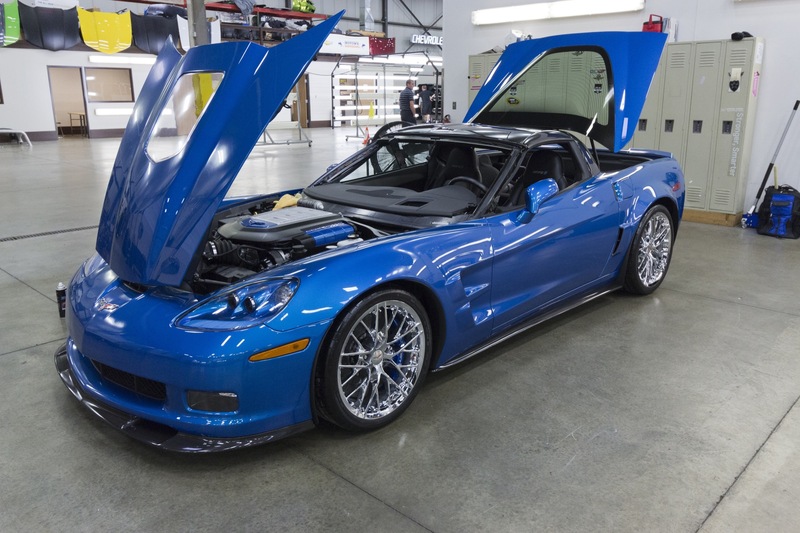 This ZR1 is of special significance since it was one of two show cars used to introduce the all-new Corvette ZR1 to an enthusiastic market back in January 2008, and was slated to be scrapped since it was a pre-production model. 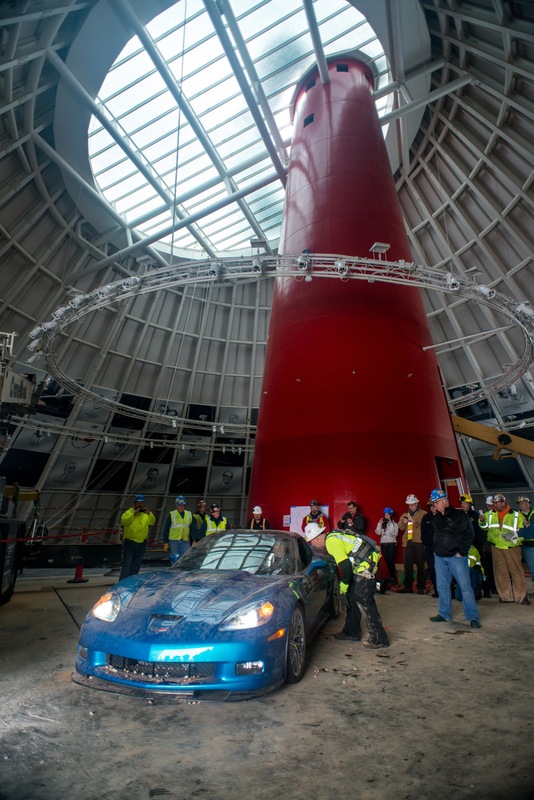 The Blue Devil was hoisted almost 30 feet out of the sinkhole three weeks after it gulped the cars, and the super car even managed to start and drive out of the Skydome under its own power. Six weeks later, the Blue Devil emerged from the General Motors Heritage Center in seemingly perfect condition. 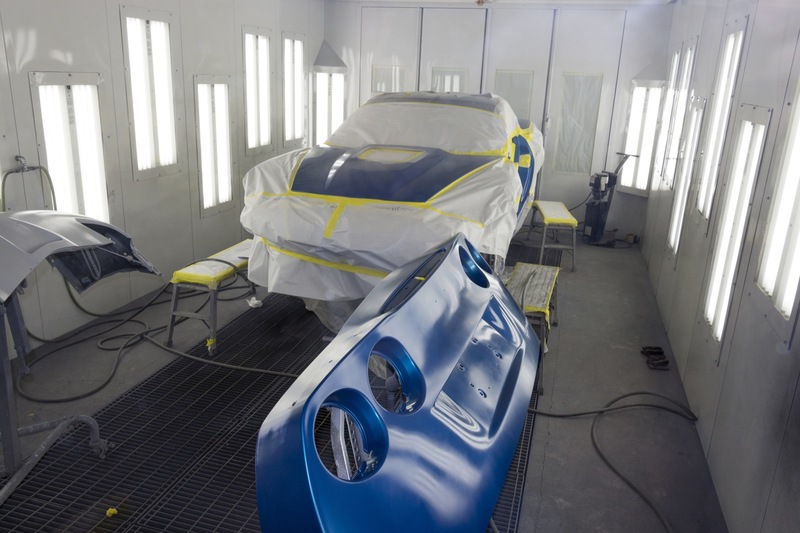 Next year, two other “sinkhole Corvettes” will be restored: the 1-millionth Corvette and a 1962 Corvette. The other five will remain in their as-recovered state to preserve their historical significance for a future display at the NCM. Let us hope it’s a sign, that Blue will prevail for the benefit of the people of Kentucky. A sign? It’s a blue sports car, not a harbinger of US midterm results. See, this is what I can’t understand about the Americans. Things like the colour of a car are tipping points for people; like its some kind of massive lottery where the “lucky charms” that decide the outcome of a election are hanging on like trivial things like the colour of the prototype car, or even the colour of your socks. So don’t bother listening to the arguments for or against prospective representatives and using your brain to make the decision. The mid terms are far more likely to go ‘your way’ if you avoid stepping on the cracks in the sidewalk on your way to the ballot box. Fortune cookies, Groundhog day, the first snowfall of the season, a blue prototype car that was pulled out of a sinkhole; how the hell are things like that going to influence the US mid-terms?